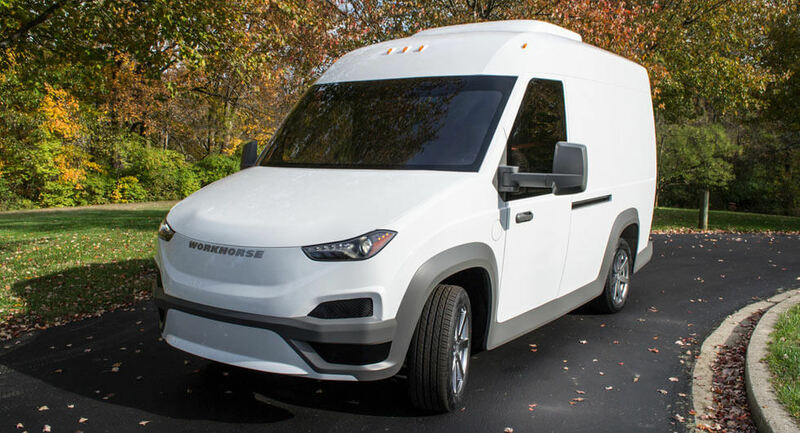 Following the unveiling of its pickup truck earlier this year, Workhorse has introduced an electric van called the N-Gen. Billed as a commercial vehicle for last-mile deliveries, the N-Gen has a composite body which is extremely lightweight. 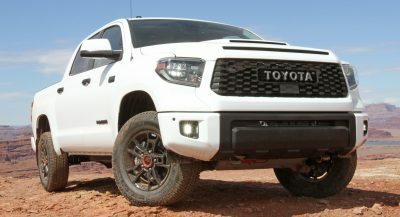 The company didn’t go into specifics but confirmed the model has a 19-inch (48.2 cm) load floor and a 105-inch (266.7 cm) roof height that helps to maximize cargo space. The company eventually plans to offer larger variants with cargo capacities of 700 and 1,000 cubic feet (19,821 and 28,316 liters). While cargo vans are rarely interesting, the N-Gen is notable as it can be equipped with an optional HorseFly “unmanned aerial vehicle package delivery system.” According to Workhorse, a carbon-fiber octocopter drone launches from the roof of a delivery van and then delivers a package to its destination which is in driver’s line of sight. The drone is compliant with all FAA regulations and can carry packages that weigh up to 10 lbs (4.5 kg). Performance specifications are scarce but the van can travel up to 100 miles (161 km) on a single charge. 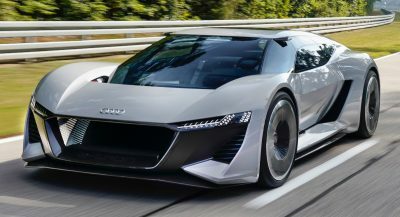 The company will also offer the model with an optional gasoline range extender engine that provides an additional 75 miles (120 km) of range. Customers can also expect an all-wheel drive variant as well as a best-in-class turning radius of 26 feet (7.9 meters). I’m curious if they kept the Maserati script inside the headlight assembly, and why they decided to use headlights that costs about $3k for a delivery van. THE DRONE DOES THE WORK WHILE THE DRIVER EATS DONUTS AND PLAYS VIDEO GAMES. 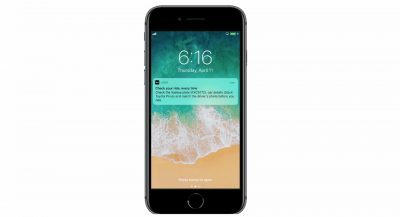 Welcome to the new automated economy. 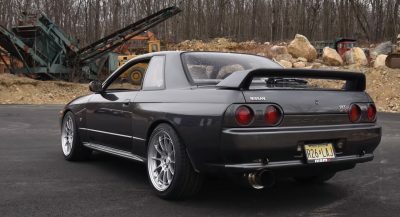 Wont be too long before the “driver” wont even be a person at all any longer.